Keeping a home clothing washing machine in good repair without professional help means having the ability to check inside the machine. Top-loading washing machines typically have front panels to provide access to the appliance. The front panel removed to show the appliance tub. 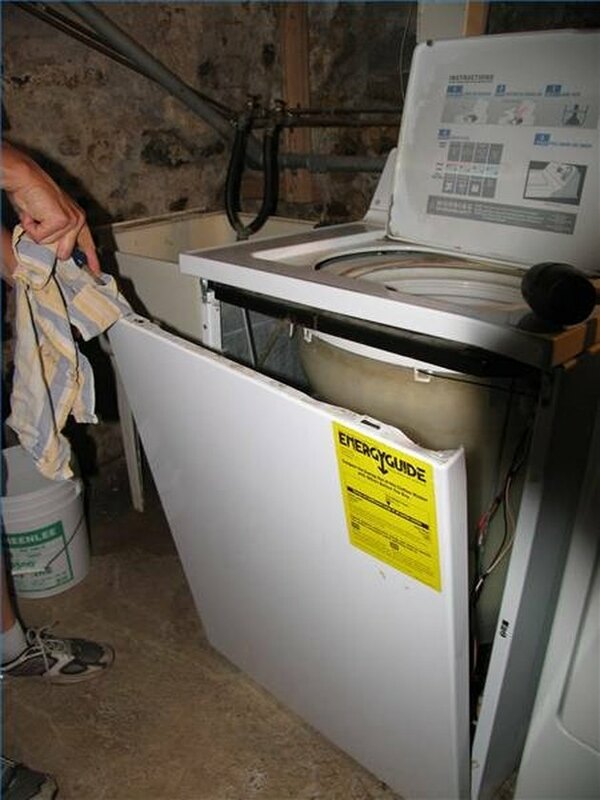 Front-loading washing machines may require different methods of removing the panel, based on the door and gasket assembly and where the panel is located. 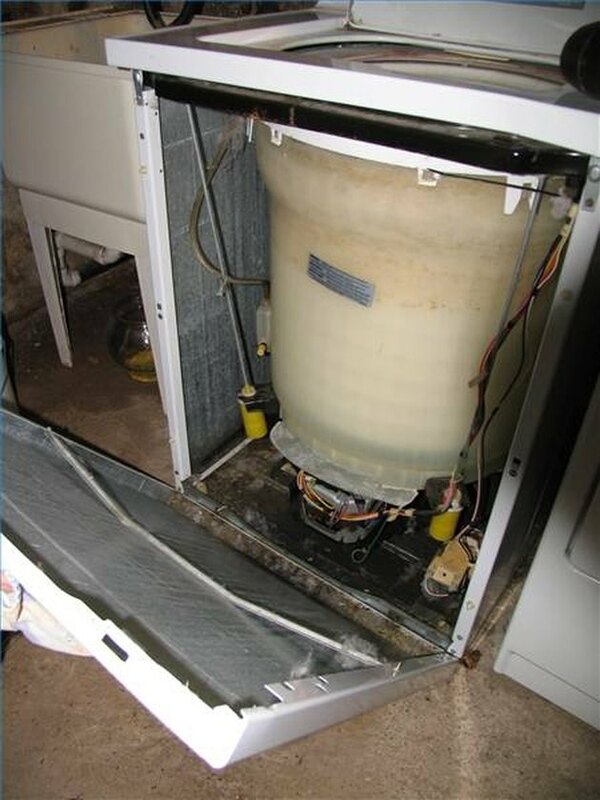 The front panel of a washing machine provides access to the appliance tub, motor, pump and transmission for repair or maintenance. Turn off the washing machine's water sources. Unplug the washing machine from all electrical sources before removing the front panel. Locate a seam at the top of the washing machine. 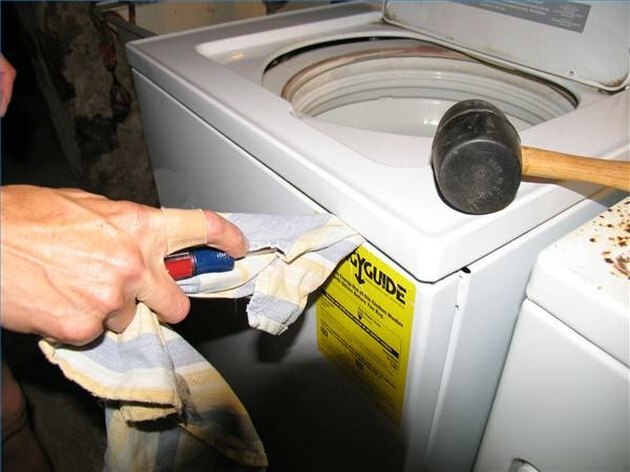 Use a pry bar or large screwdriver to push in between the seam at the top and the washing machine body. Gently loosen the front panel so it can be pulled away from the washing machine body. Look for wires attached to the front panel and remove their connections. Once the front panel is completely removed, it should be set upright in a safe place.